Life by Chocolate, offering handmade chocolate and artisan chocolate in Greenville NY. 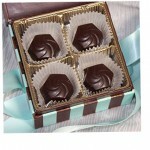 Also find vegan chocolates and more at Life by Chocolate. At Life by Chocolate, you will only find handmade chocolate that is made on premises. Handmade exotic chocolate bars, gift boxes of assorted chocolates, specialty holiday chocolates, many varieties of dark, milk, or white chocolate bark. We can ship anywhere in the USA. Chocolates used local and organic ingredients. Also have a line of vegan chocolates that are dairy-free.